Here at Hubler Automotive Group, it’s important to us to be involved in the Indianapolis community. 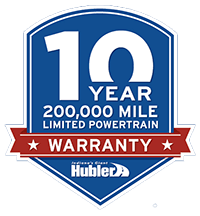 The Hubler family has been serving Indiana for more than 50 years, helping Hoosiers get the car they deserve at a price they can afford, but to us, it’s about more than selling vehicles. We want to give back to our community and get to know our customers. Check below for the upcoming events that Hubler Automotive Group will be participating in. You can contact us at 888-221-5101 for more information. Clothe-a-Child takes place in December and is hosted by both Hubler Automotive Group & the Indianapolis Metropolitan Police Department to help those unable to not have a Christmas during the season. Together, Hubler Automotive Group & the IMPD put together a budget to take a select number of kids to the mall to buy them a Christmas they won't ever forget. This year’s event will be December 16th, starting in the morning at Hubler Chevrolet. Officers then proceed to the Greenwood Park Mall with full lights and sirens. During the drive, the kids will have the opportunity to ride in a police car and play with the lights and siren. They’ll shop together at JC Penney for clothes and Shoe Carnival. Everyone then comes back to Hubler Chevrolet where they’ll meet Santa, open wrapped toys and enjoy lunch, goodies, music, games, inflatables, etc. The program’s goal is to create an experience for the kids (and officers) that will be a lasting, and hopefully life changing, memory! We'll post pictures to recap the event but there is no registration process as families are pre-selected. Safe KI.D. is a Halloween based event that takes place in late October. Hubler Automotive Group partners with the Indianapolis Metropolitan Police Department on providing safety tips for Halloween and creating a special KID Kit. Here, Kids will get FBI quality digital fingerprints to create laminated cards with their info such as height, weight, eye color, etc. to help keep every kid safe. How does it work? Well, if a kid is ever missing, the parent can hand over their child's card and it will help expedite the process faster for the IMPD and they may begin searching for the missing child. This card eliminates the information gathering aspect of the process and allows IMPD to search for the missing child ASAP. At the event, we have vendors set up tables and provide info on various community organizations while they hand out candy. We also have face painters, temporary tattoo artists & more while we also provide food, drinks & fun with bounce houses and inflatable jungle gyms for the kids. We have annual registration open up late September. Check back closer to around then to see the official date and register from this page.. The Easter Eggstravaganza is Hubler's biggest event partnered annually with the Indianapolis Metropolitan Police Department. 2016 will be our 3rd year hosting this event and we expect it to be even bigger than 2015. With close to 5,000 people in attendance last year, we continue to strive to top each previous year. The event takes place at 8220 US 31 S in Greenwood, Indiana, right in the front yard of Hubler Chevrolet. We clear our lot of all the new Chevrolets and place a football field worth of turf for the Easter egg hunt. IMPD hides eggs all across the field for each age category and then have them all get as many eggs as possible before the other kids do, although every kid gets at least one egg. Also available are food, drinks, bounces & more for kids and parents. Also, many of our sponsors provide information about what they do and even a bit of fun. The Indianapolis Fire Department made an appearance and let many kids sit in cockpit of the fire engine, as well as the Pacers Fan Bus here to give away free Pacers merchandise! It won't be an event to miss as we get our plans for 2016 ready. Keep checking back here as we will officially announce the date to get everyone prepared for another big Easter Eggsravaganza!